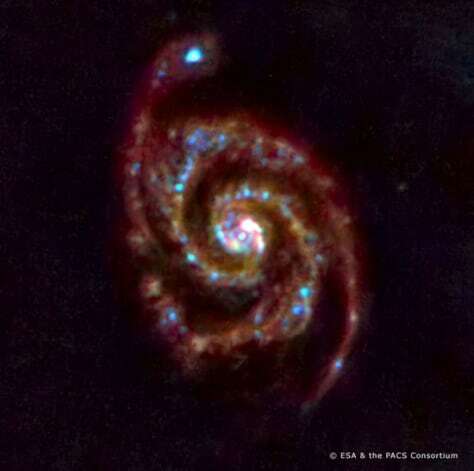 A three-color far-infrared image shows M51, the Whirlpool Galaxy. The glowing light comes from clouds of dust and gas around and between the stars. These clouds are a reservoir of the raw material for star formation.